Follow the path that makes sense for you! As we’ve said before, there is no right way to be green… no set path for small or medium-sized business owners. Instead, you need to think about what makes sense for your business and take those actions - big or small - that are the right fit for you, your staff and your customers. To make this process easier, we have put together a series of quick tips that make sense in a variety of workplace situations. For those who are already doing these things or are interested in going even further, follow the links provided in each resource area to a collection of toolkits with even more great ideas. Change BEHAVIOR – These ideas speak to workplace habits that, if modified, will result in meaningful organizational impacts in the long term. Typically they are no/low cost solutions. Use TECHNOLOGY – Suggestions geared towards the addition or incorporation of new machines, fixtures, appliances and processes to reduce an organization’s environmental impact. For those of you who have already taken those first steps towards greening your workplace, consider upping the ante and moving your staff and your business to the next level of sustainability. These toolkits and guidebooks are full of excellent advice and creative ideas! 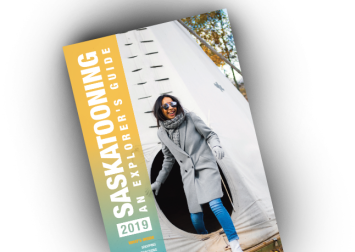 Whether you like to jump right in with new ideas, strategically plan your approach or learn from those who have gone before, this guide offers tourism operators a selection of tools and tips for greening all aspects of your tourism business. David Suzuki embraces the notion that people must be engaged and informed in order to drive change; read on for fresh employee engagement initiatives relevant to all sectors. These checklists, taken from a 2007 Environment Canada document entitled Green Meeting Guide, offer a detailed set of questions that meeting planners should consider when aiming to host green meetings. For the complete document, click here. For retail business owners and managers, this document offers a wealth of information on how to green your retail operation and highlights the successes that other industry leaders have realized in doing so. UK-based non-profit, A Greener Festival, has produced a comprehensive guide for planning green festivals and events… you’ll be inspired by some of the best practices featured in this publication. Reflect on the activities of your business and give yourself a sustainability score using this Excel-based evaluation tool. Learn about the average Canadian carbon footprint, understand what that really means and explore how to mitigate the impacts of your business activity through offsetting. Despite the fact that common units of measurement vary between the UK and Canada, this straightforward toolkit suggests some unique metrics for those trying to measure their impacts. This document approaches the implementation of sustainability from three angles; management, operations and leadership. Highlights of the report include best practices, case studies and links to related resources. A simple visual tool to illustrate the process of incorporating sustainability in the workplace.